When driving in old cities like Ragusa (pictured here), a small car is in order so you can maneuver securely down narrow streets. 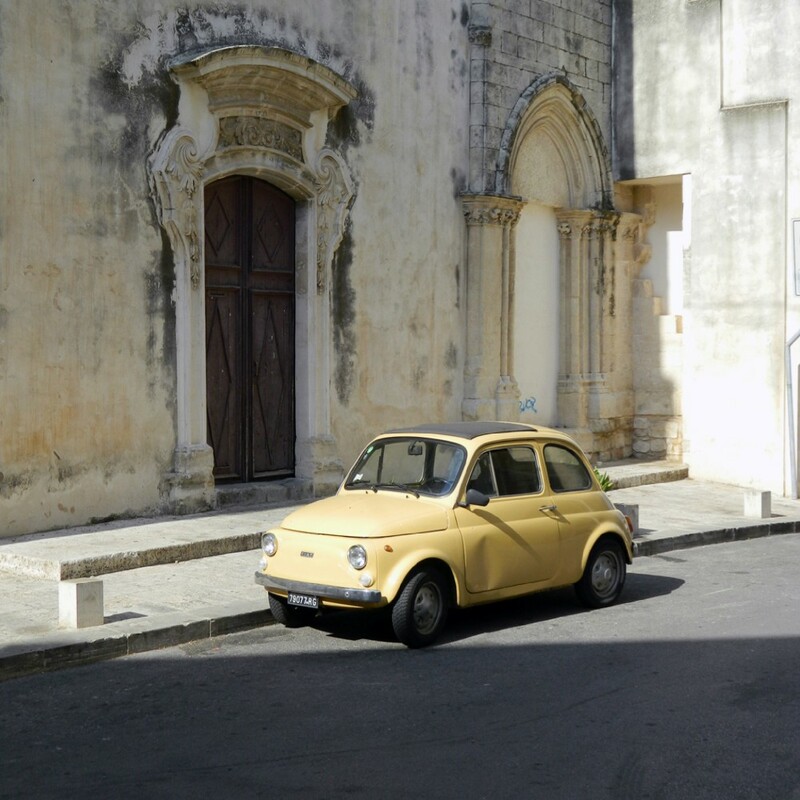 This lemon-colored Fiat 500 (AKA: Cinque-Cento) would be my automobile of choice. Don’t be afraid to have a visual connection to the drivers around you and to use your horn; it’s a necessity.